Spring is in the air - well, it certainly is in Gibraltar, anyway - so thoughts of summer BBQs and drinks in the garden are just that bit closer to becoming a reality. It's no secret that I love a gin - weirdly, I was always a vodka drinker up until a few years ago when I was sitting out in the garden and suddenly had a craving for a G&T. I'd never really liked gin as I thought it was too dry, but that fateful afternoon in the sun spawned a love for mothers' ruin and I haven't looked back since. Mix your G&T as normal. Add your lime wedges and pop the rosemary sprig in for some extra flavour. A fragrant version of the classic. Add all your ingredients into a glass with some ice. Spritz orange peel over glass before serving. Hopefully this has given you some inspiration on how to jazz up your standard gin and tonic - we have a couple more recipes up our sleeve to try out, so I'll be posting those soon. 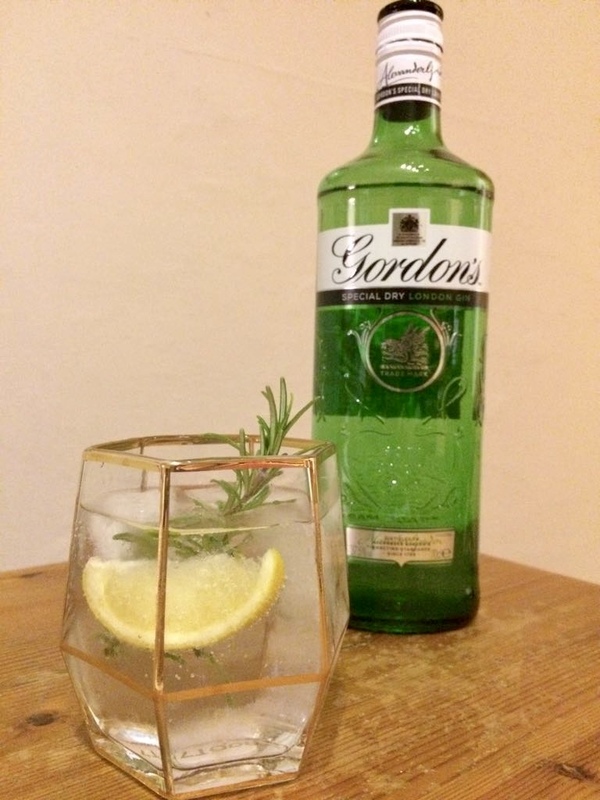 Thanks to Gordons for supplying the gin, and to Root 7 for the lovely glasses.